*Note: Depending on docking availability, the stopover in Bouchemaine may be replaced by Chalonnes-sur-Loire. In this event, the order of the visits could be altered. DISCOVERY: Tour of Brissac castle and its cellars complete with a wine-tasting session. Join us on a full-day excursion common for both Classic and Discovery excursions packages: Discover the Castles of the Loire Valley. 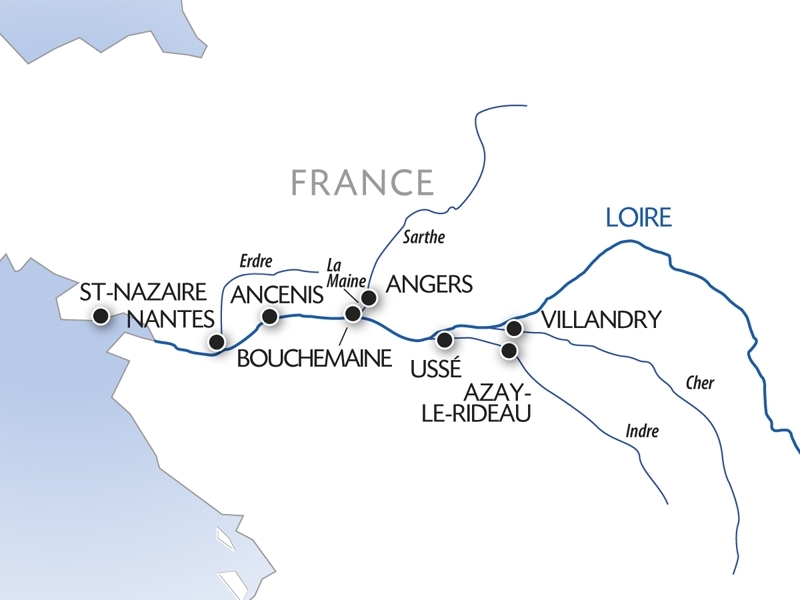 *Depending on docking availability, stopover in Bouchemaine may be replaced by Chalonnes-sur-Loire. In this event, order of excursions could be altered. Disembark around 10.00 am. End of our journey. The cruise itinerary can be affected by the tide so the order of excursions may have to be changed in order to ensure the optimal organisation of our time.